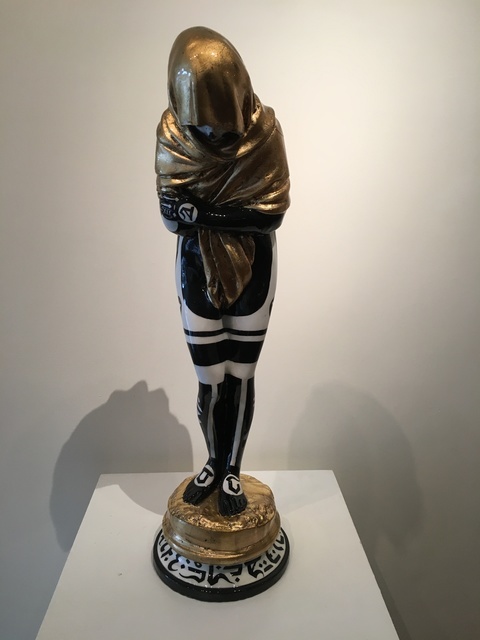 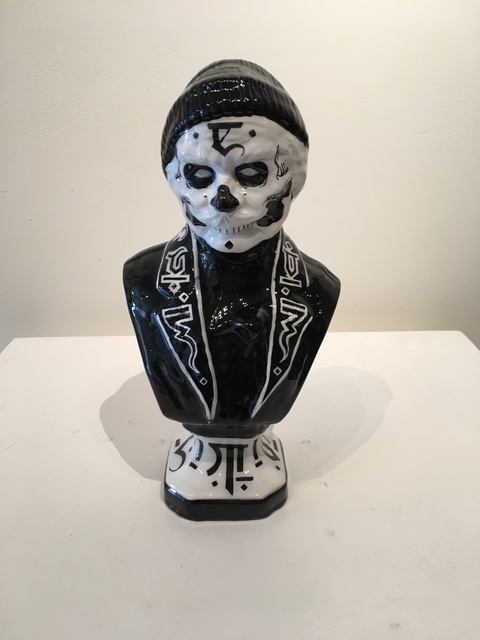 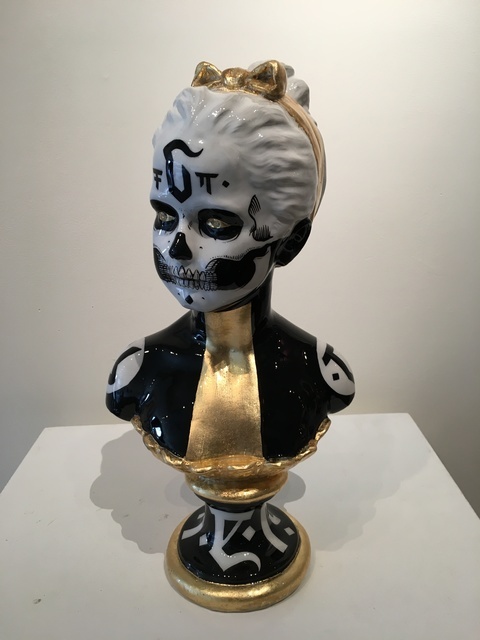 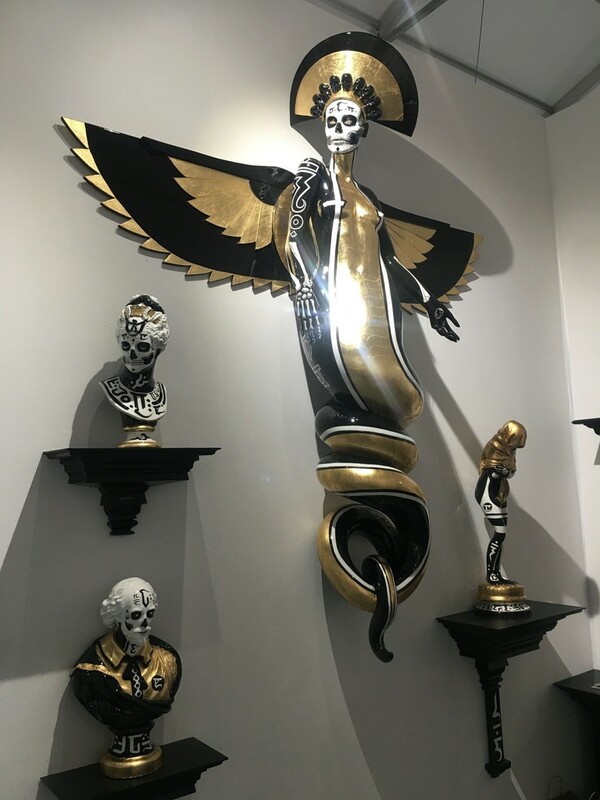 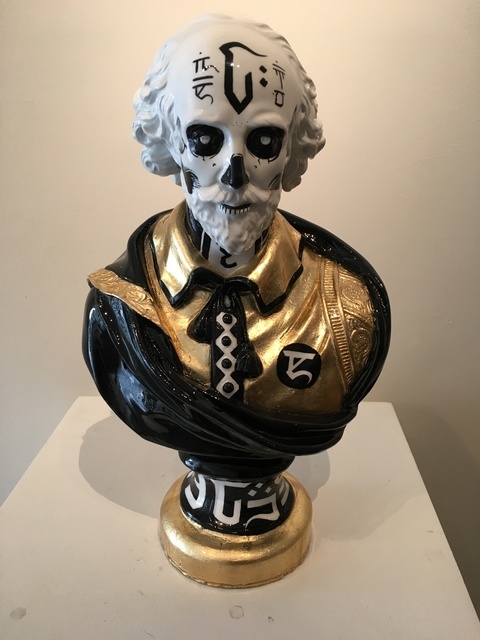 This evolving installation presents the viewer with visions of futuristic antiquities, where the artist creates sculptural versions of esoteric idolatry reminiscent of past civilizations, presented in an installation consisting of 19 sculptural pieces. 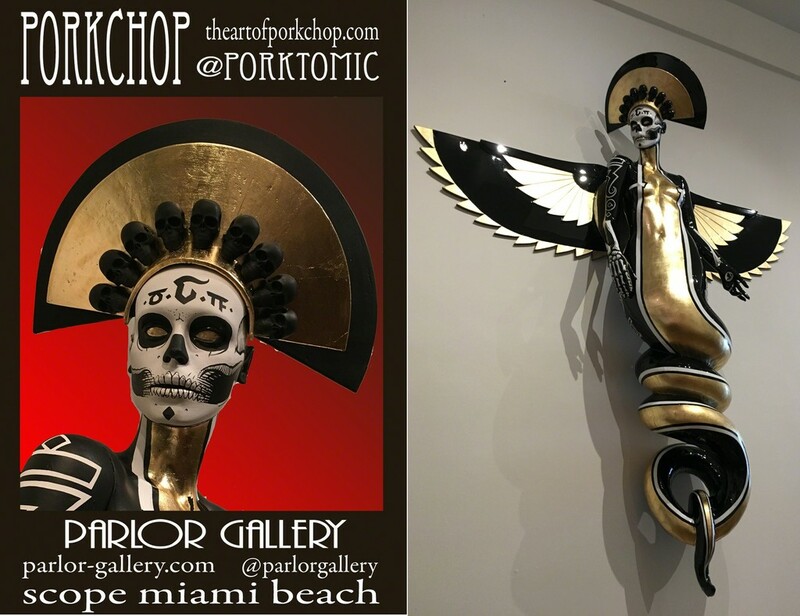 Parlor Gallery is proud to present “Elucidation III”, a site-specific installation created by Porkchop.for Scope Art Show on Miami Beach from December 4th-9th, 2018. 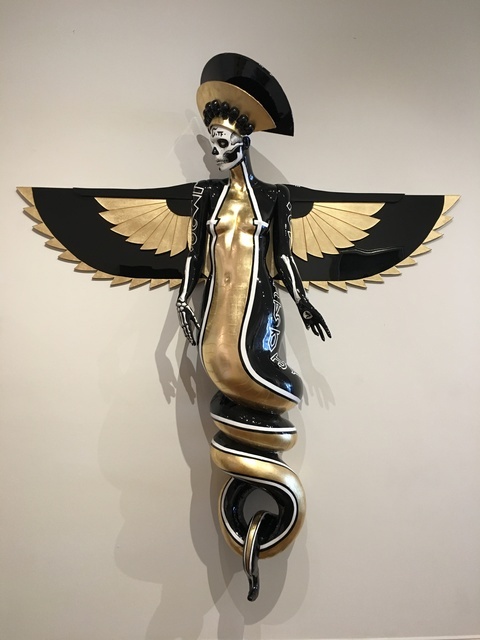 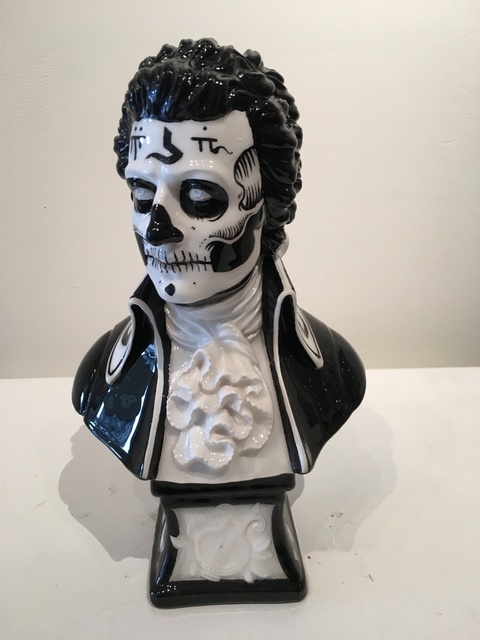 This evolving installation presents the viewer with visions of futuristic antiquities, where the artist creates sculptural versions of esoteric idolatry reminiscent of past civilizations. 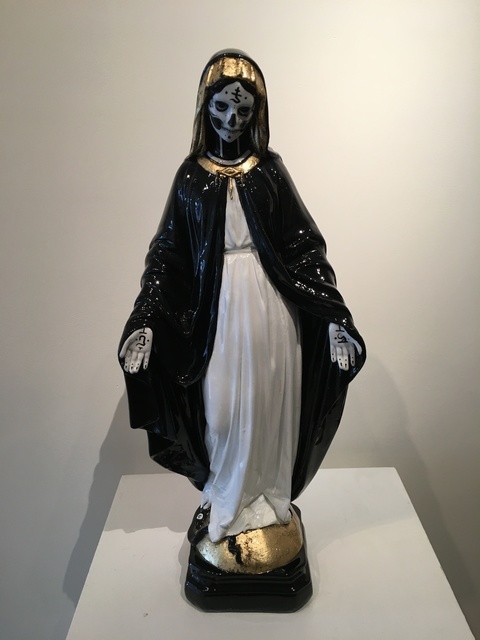 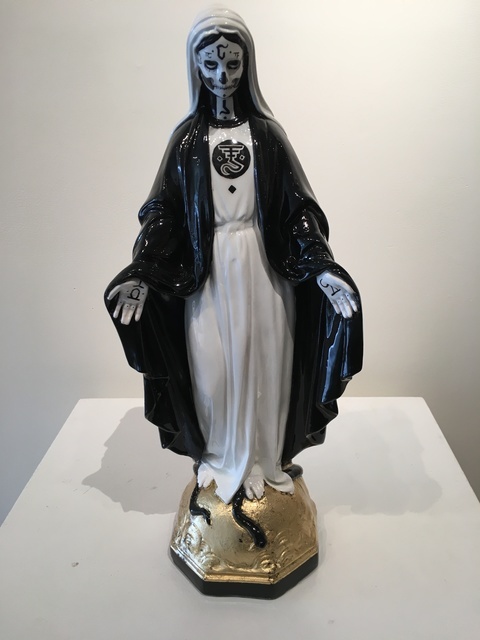 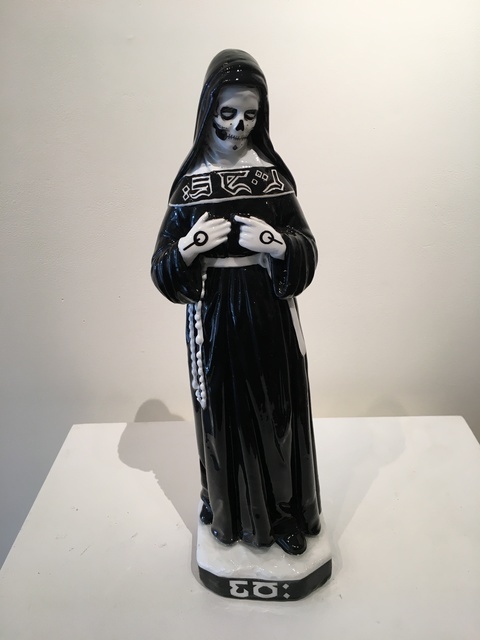 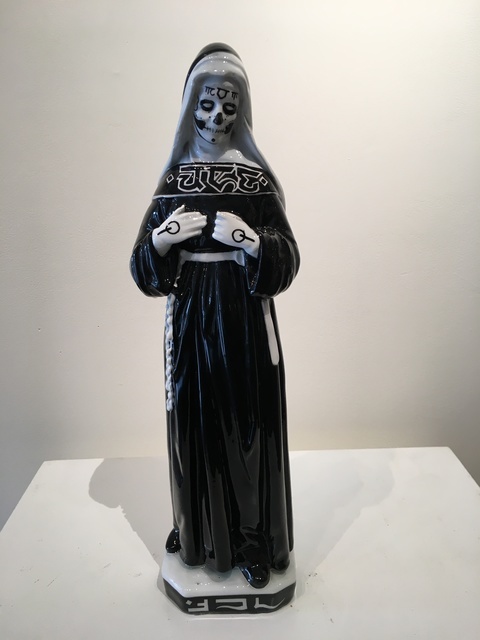 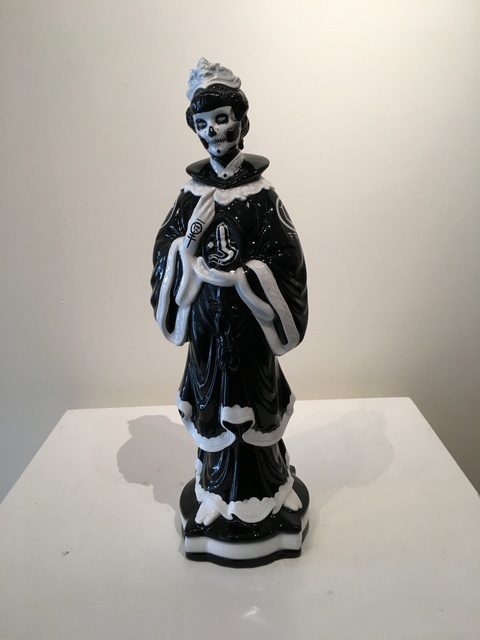 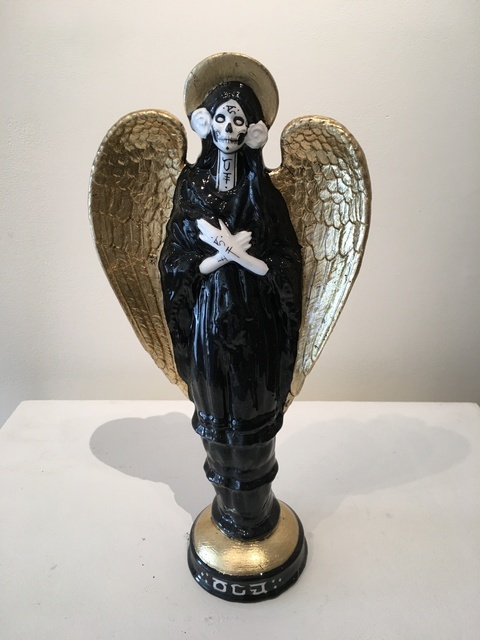 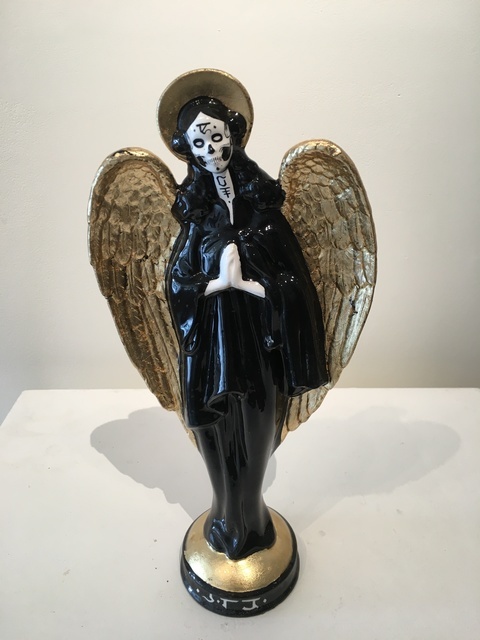 Through re-appropriating imagery from multiple cultures; the artist creates a new yet familiar version of religious iconography. 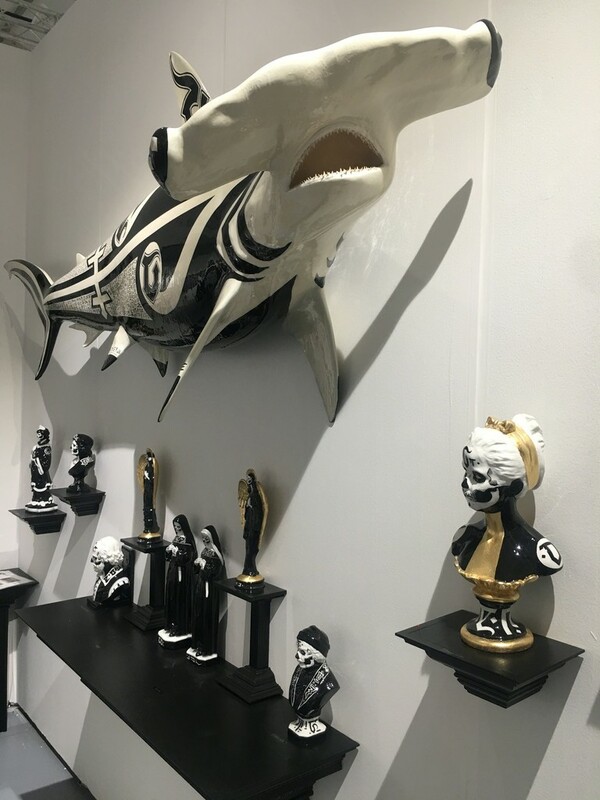 Building on these themes of religion, Porkchop has created an installation that combines elements of design with sculpture and re-purposed found objects, giving the viewer the opportunity to experience the visuals of this quasi-religion..Through the re-purposing of the found objects, the artist gives them a new narrative, with new identity and purpose, which is a practice that plays on themes of religious augmentation. 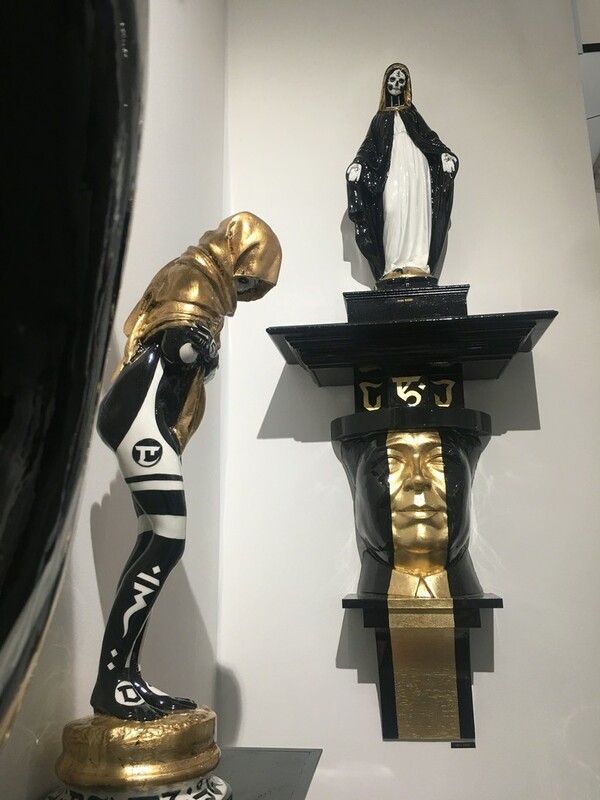 The viewer is often left with a possible new mythology reminiscent of past doctrines. 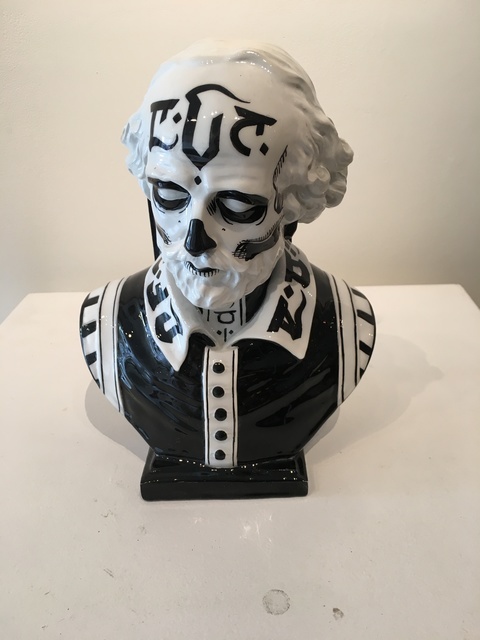 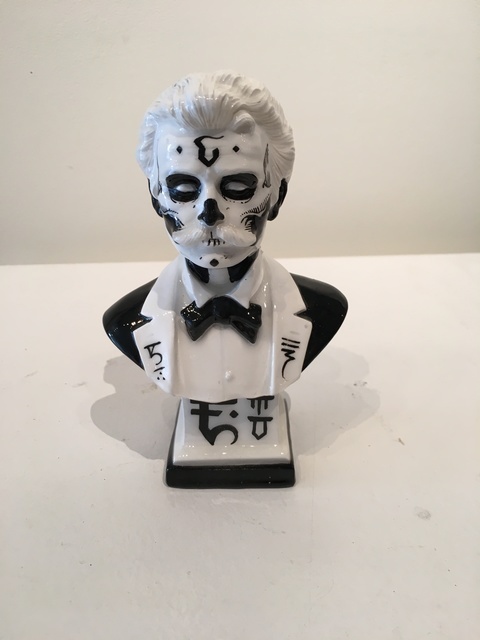 The 20 characters, which Porkchop has created, have become the constant and repeated motif that connects the works. 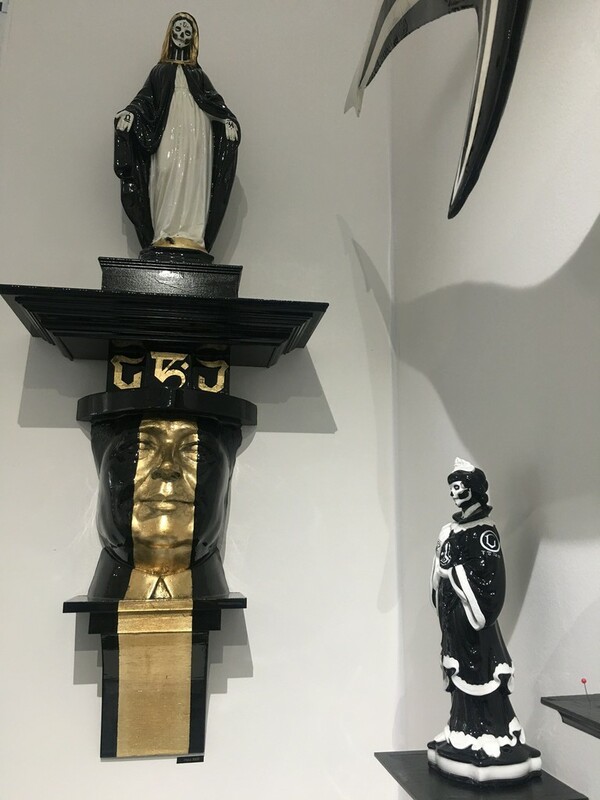 The characters are present in all the works within the installation. 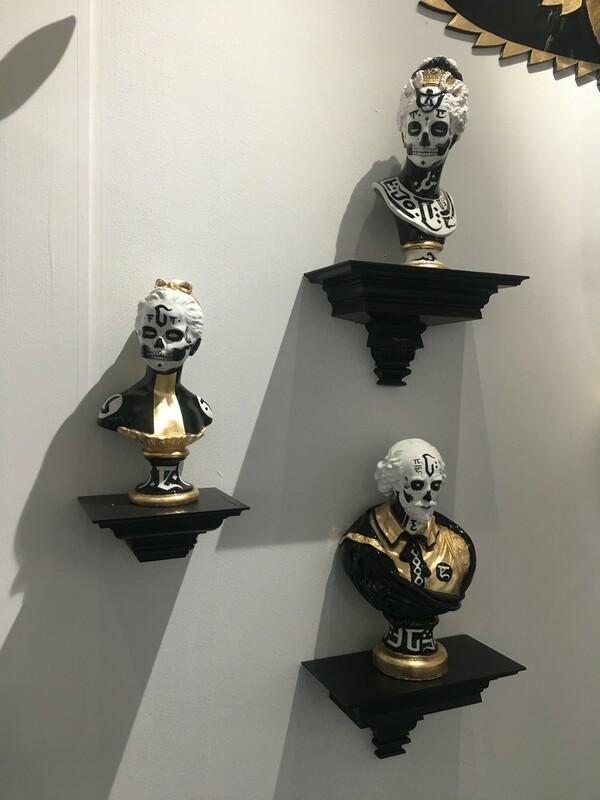 They are of an imagined language that is visually similar to ancient texts. 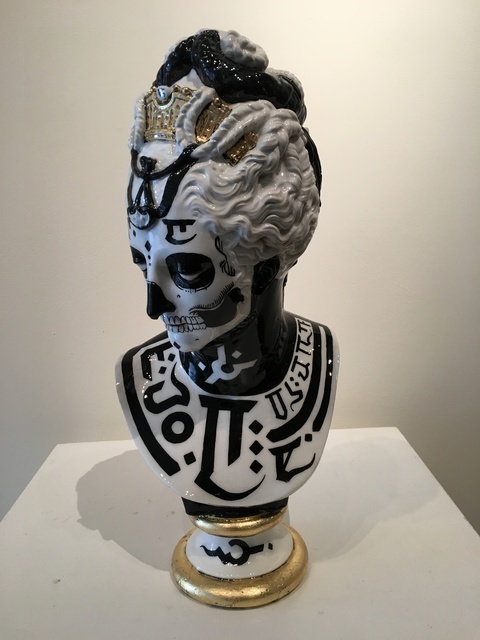 The centerpiece of the installation is entitled ”Zayamara”. 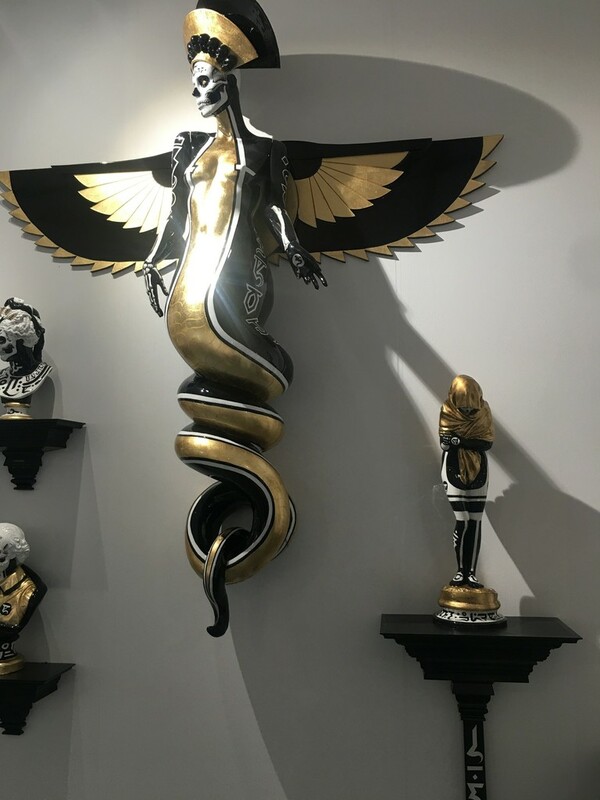 She is a deity that is reminiscent of a “Naga”, which is a semi-divine deity that is half human and half cobra that protects the waterways, like lakes, rivers and seas. 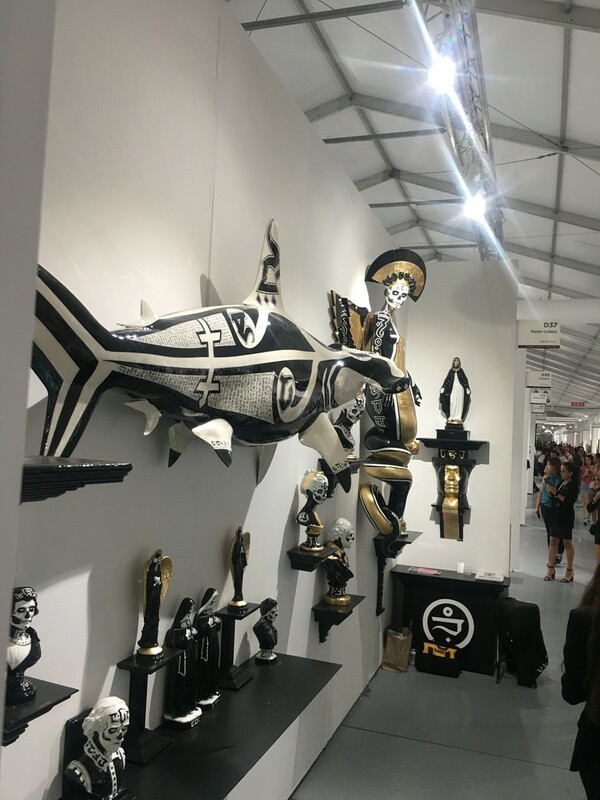 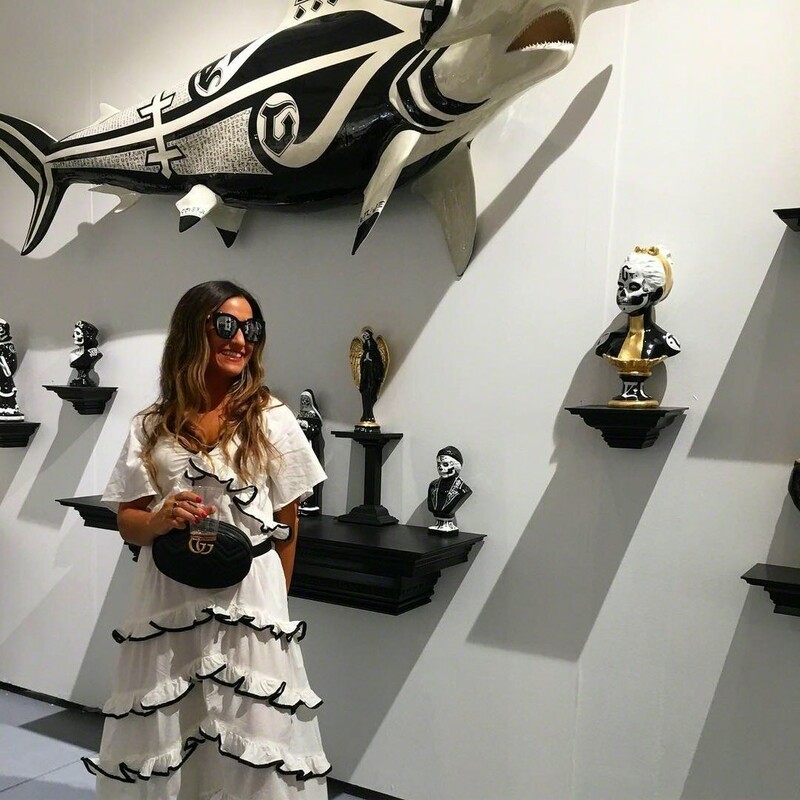 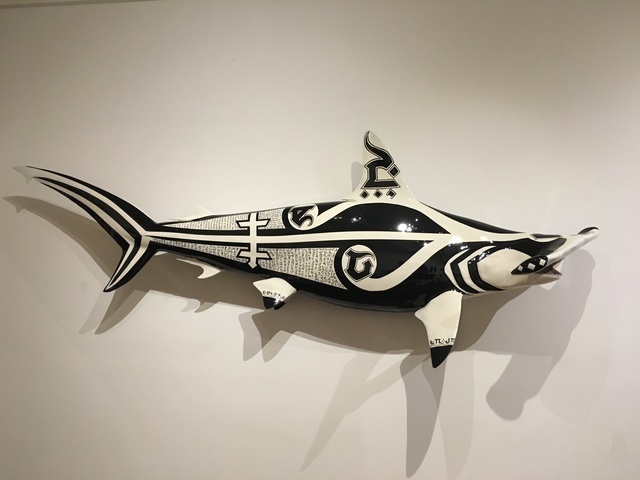 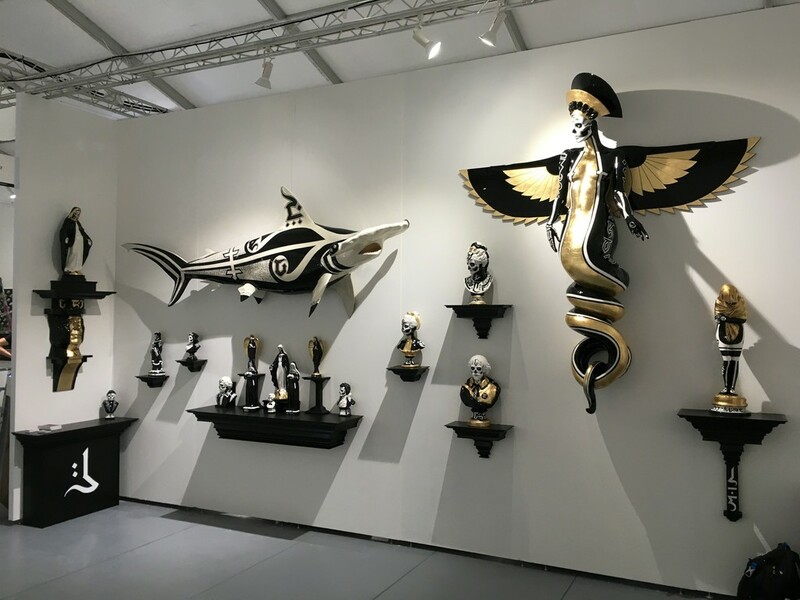 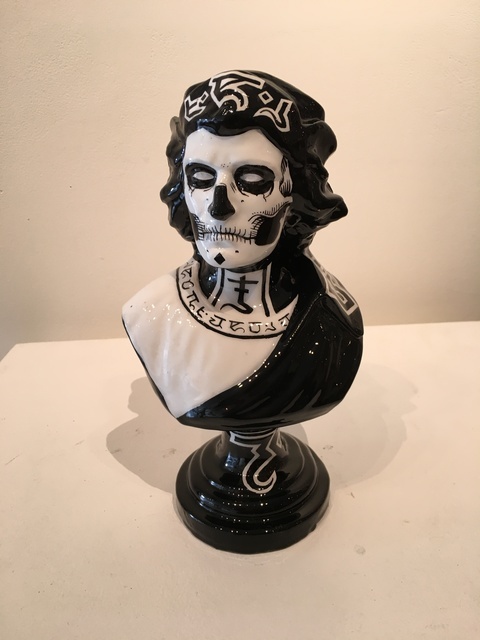 In Porkchop’s sculptural creations, you will find echos of ancient Egypt, while at the same time finding elements within the design that produces a futuristic feel.